Let’s get started planning! You won’t believe how easy it is to plan a honeymoon, destination wedding or romantic getaway with us. Request a price quote. 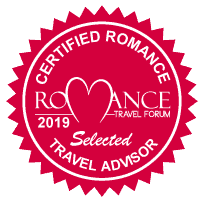 At Destination-Wedding-Experts, we’re passionate about travel, and we love helping couples plan their perfect honeymoon, destination wedding, or romantic getaway! We’ll match you with your very own honeymoon and destination wedding expert who can give you a quote on the perfect destination wedding or honeymoon, based on your desires and budget. Best of all, there’s no cost to let us plan your special trip! Tell us a little bit about what you’re looking for and we’ll be in touch to give you a quote. If you’re looking for a regular vacation quote request, click here. Please contact me with a quote and romantic getaway options.